What a difference 65 years makes. It was in April of 1953 that a one-page letter appeared in the journal Nature. 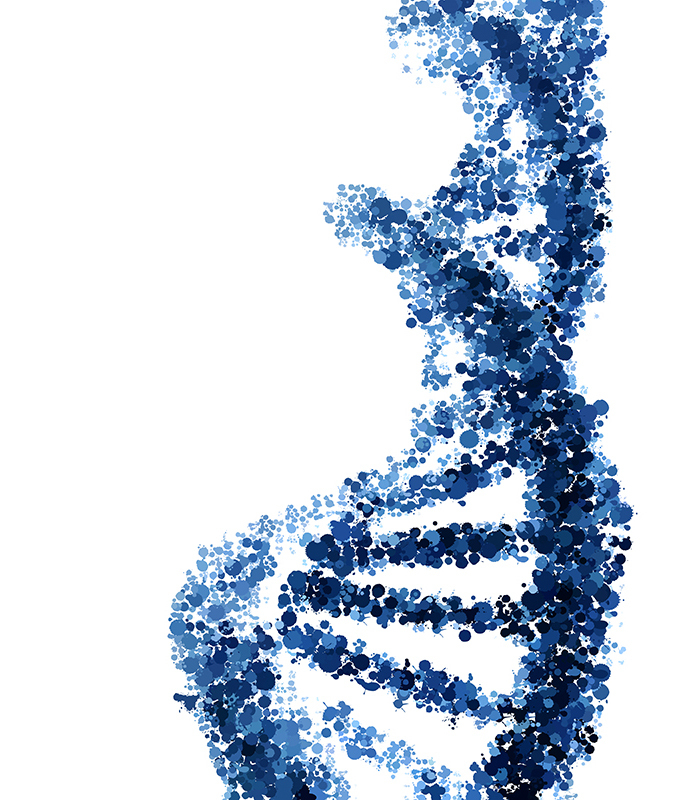 Two young scientists believed that they had figured out the double helical structure of deoxyribonucleic acid or DNA. In their communication to the journal, these men remarked with masterful understatement that, “This structure has novel features which are of considerable biological interest.” This was indeed the case. Logical fallacies abound in public discourse. Spend a bit of time watching or listening to political discussions. If you have some knowledge of logic, and logical fallacies, you may near the point of doing violence to yourself or others due to your frustration at the lack of simple logic that is often evidenced in such conversations. And due to a widespread ignorance of the basics of logic, these fallacies often go completely unnoticed. The same holds true for the issue of origins, and the ongoing discussion about creation and evolution, the relationship between Scripture’s account and the findings of science. One logical fallacy continues to rear its ugly head, being raised again and again, as if repeating the argument will make it less fallacious. This fallacy is known as the genetic fallacy. That man told me that the sun is shining. That man was once committed to a psychiatric institution because of delusional thinking. Therefore, that man must be wrong, and the sun is not in fact shining. The “creationist” movement was begun by Seventh-Day Adventists. Seventh-Day Adventists are not a reliable source of theological truth. Dr. Johannes VanHolland, the famous Reformed theologian (or, Dr. Angus McDuncan, the famous Presbyterian theologian) allowed that belief in evolution is not incompatible with belief in Scripture, and that the correct interpretation of the Genesis account does not necessarily mean we must reject the idea that the universe came into existence through a long process of gradual change. Dr. Johannes VanHolland (like his eminent and renowned Scottish counterpart) is a respected Reformed theologian, whose work has greatly impacted the Reformed Church until this very day. Therefore, arguing that evolution is absolutely incompatible with Scripture and should be wholeheartedly rejected is not Reformed. What’s wrong with these arguments? First of all, they are not necessarily true. Long before there was even such a thing as a Seventh-Day Adventist, Reformed and Presbyterian theologians strongly upheld the understanding that the correct understanding of Scripture requires us to hold to a literal creation week and a historical Adam and Eve. While Seventh-Day Adventists may have been active in the Twentieth-Century “creationist” movement, they are far from being the originators of the movement. Furthermore, it has been shown repeatedly that the Reformed theologians whose arguments are often used by those who wish to allow for evolution have often been misunderstood and misrepresented. In the second place, when it comes right down to it, while the origin of an argument will have some bearing on our personal inclinations to accept or reject it, it has nothing whatsoever to do with its truth or falsity! As a minister of the Word, I write sermons. When I write sermons, I use commentaries as part of my research. Those commentaries vary in quality and usefulness, and they also vary widely in terms of their origin. For example, I am currently preaching a series of sermons on 1 Corinthians. For this series, I’m using commentaries by David E. Garland (who received his Ph.D from Southern Baptist Theological Seminary), (Richard Hays, an ordained United Methodist minister), Ben Witherington III (also a United Methodist minister), Craig Blomberg, who teaches at Denver Seminary in Colorado, and is involved in something called the “Scum of the Earth Church”(! ), and John Calvin, who you may have heard of. My point is this: if I were to succumb to the genetic fallacy, I would reject what most of these men write out-of-hand. What have I, as a Reformed pastor, to do with Southern Baptists, United Methodists, and non-denominational churches with strange names? But the fact is, to varying degrees, the commentaries written by each of these men are all very helpful in their own way. While I reject a number of these New Testament scholars’ theological views, they offer some very helpful insights into the passage of Scripture. To reject their conclusions outright based upon their point of origin (or, conversely, to accept all of John Calvin’s conclusions uncritically because I am, after all, a Calvinist) is to commit the genetic fallacy. The key is to read, and listen, critically. Sure, when you’re listening to a friend, you will not be as “on guard” about what they’re telling you as you would if you were listening to a stranger. But when it comes to theological matters, we always have a foundation to go back to – God’s Word. If John Calvin (or any other theologian, for that matter) said something, it may or may not be correct; all theologians are human after all. But God’s Word is true and trustworthy, and what matters most is not the person who made a particular argument, but whether or not it agrees with God’s Word. Let’s be on guard against logical fallacies. When the genetic fallacy is used, we should be aware of that use, and make our judgments about the arguments we hear using Scripture as our final and ultimate authority.